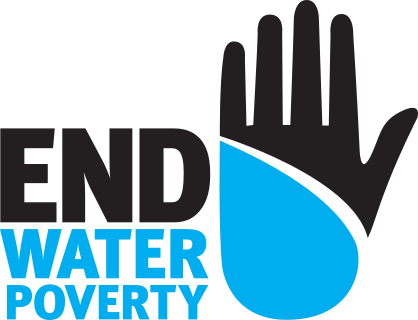 End Water Poverty (EWP) is a global civil society coalition, campaigning to end the water and sanitation crisis. Established in 2007, we have now grown to over 150 members in more than 90 countries around the world, working in all regions across Africa, Asia, Latin America, Europe and North America. Our members are civil society organisations ranging from large international non-governmental organisations and regional networks, to national networks, as well as small grassroots and community-based organisations. To find out more, see the full list of our members. United by the common goal to end the water and sanitation crisis for all, we are dedicated to demanding and delivering effective global advocacy, resulting in universal access to sustainable water, sanitation and hygiene (WASH). EWP was the first global campaign calling for an end to the water and sanitation crisis. EWP members also collaborate through interacting with international policy makers and working towards achieving the Sustainable Development Goals, specifically Goal 6. Today, EWP organises an annual campaign called the Water Action Month. This month-long campaign allows members to take creative and innovative action(s) during the month of March with the aim raise awareness about the human rights to water and sanitation and lobby their national governments to achieve Goal 6. Today, 2.1 billion people worldwide lack access to safely managed water, over twice as many lack access to safely managed sanitation services. This result forces women across the world to spend 200 million hours per day collecting water. Today, more people have mobile phones than have access to a safe toilet, one of their basic human rights. Lack of access to safely managed and sustainable water and sanitation services has a negative impact on health outcomes – over 842,000 people die every year from diarrhoea caused by unsafe or dirty water and poor sanitation. Globally: Ensuring civil society voices on WASH are heard throughout key global processes, allowing sustainable WASH to become a high priority on the international and national political agenda. Regionally: Influencing regional bodies so that they prioritise sustainable WASH. Nationally: National networks and members will develop long term advocacy campaign plans, enabling us to push governments to implement sustainable and safely managed WASH services for all. Access to safely managed WASH cannot be achieved without considering all aspects of the water cycle, including the effective and integrated management of water resources, waste water management, water scarcity and resilience to water-related disasters amongst others. While EWP does not campaign on wider water issues specifically, our work emphasise the linkages to these important issues in correlation to the SDGs, and how these are critical in ending the water and sanitation crisis. In July 2010, the United Nations General Assembly (UNGA) formally recognised the human right to water and sanitation. While some countries have already included an explicit reference to the right in their constitution, many are yet to do so. In 2015, the UN went one step further and formally recognised the human rights to water and sanitation as a distinct, yet inseparable rights. EWP partners campaign at all levels, nationally, regionally and globally for this right to be recognised in law, and for it to practised. The world now has a new global agenda - Agenda 2030, through the adoption of the Sustainable Development Goals.We are delighted that there is now a dedicated water and sanitation goal (Goal 6). However, now is the time for the hard work to begin on a national level. We must ensure with our members that the global goals prioritise water and sanitation by ensuring access for all as this is critical for meeting all other Sustainable Development Goals. National campaigning is central to EWP’s work as it is governments, which can bring about the greatest change. Through EWP, we develop overarching campaign strategies and support our members in developing national or regional plans, which support our global objectives. We also provide advice on campaign strategy development and communications. In our ongoing advocacy, there will be key global moments when we need to unify the voice of civil society organisations for maximum impact. For example, in the run up to a UNGA. To do this we will coordinate a global campaign action, which will engage a large number of our members. Under our main campaign, ‘Water Action Month’, we work with our members to push governments to meet their commitments and obligations in order to ensure the human rights to water and sanitation for all is protected. Seeing our members’ extraordinary efforts and passion for World Water Day (22nd March), we decided to celebrate for the whole month of March to raise awareness and call for sustainable changes through an impactful campaign! We help to facilitate and coordinate civil society input into a number of key international political processes, including the Sanitation and Water for All (SWA) partnership and the Agenda 2030 development discussions. Currently, the SWA Civil Society Organisations Advisor is hosted by the End Water Poverty Secretariat. We support the involvement of national and regional networks, share information, consult with members on joint positions and facilitate the selection of civil society representatives.